Where shall we go in August? Climb mount Fuji? Got radiation leh. Go Greece or Turkey? It will be terribly hot then. Go Mongolia? Wah, the air ticket cost about S$1600. Go Europe, Euro in our favor now! Nay, it’s summer, it will be damn crowded and pricey. Go Baltic States? Sound decent. Why not Tibet? It’s the best time to go. It’s raining season, we will not have a clear view of Mt Everest! It’s your luck! That’s how our journey to Tibet began. Planning a Tibet trip is not easy and can get very annoying, frustrating and finally resigned to fate. First we need to search for a reputable tour agency to help us arrange trip and apply our permits. Due to China’s ever-changing requirements, it is actually not possible to do independent travel now, you will need to arrange for a tour. Heard from a friend getting an agency based in Tibet is cheaper than one based in China. I read in Lonely Planet that those based in China will still have to go thru their counterparts in Tibet to apply for the permits. Finally we settled for one providing customised tour itinerary with transport and enlish speaking guide exclude accommodation and meals. Next was flight and train tickets. We’ve decided to drop overland route from Chengdu as we will need more days and we want to keep to the 15 days visa-free travel to China. To counter High Altitude Sickness (AMS), it was advisable to enter Tibet by train, but the agency had advised that it would be difficult to get train tickets in August as it was peak tourist period. Well, later I got to know that it’s school holiday in China, so there will be many Chinese travelling to Tibet by train. So after monitoring the flight cost for awhile we bought air tickets to Lhasa with China Eastern Airline, going to Xi’an for 2 days first. As we are entering Tibet by plane, we will need to receive the original Tibet Tourism Bureau (TTB) permit before we can board the plane and the tour agency can only mail to a city in China. The nightmare coupled with roller-coaster ride came then. After we confirmed the itinerary and quotes for the tour, bought our air tickets and transfer a RMB1000 deposit, news came that Tibet was closed to all foreign tourists indefinitely due to a incidents of self-immolations in Lhasa and other parts of Tibet. The agency told us then to wait till 15 July since TTB only process permits 15 days before the intended travel. Need to travel in a group of at least 5 and with the same nationality. Gosh! What? We only have 3 and it’s not easy to get another 2 at such short notice! Who has 2 weeks leave and who wants to go Tibet? Transfer to the TTB (not the tour agency) of an amount of US$500 for each pax (i.e. US$500 x 5pax = US$2500) first. Only upon receipt of this amount (with evidence of transfer from your goodself), TTB will process the permit. Please note thou, whether if approved, is still unknown. If permit is issued, this amount will be deducted from your tour price. If it is not, it will be refunded (of course, you lose out on all the bank fee/charges & exchange rates). Everest Base Camp (EBC) is closed (till now)! The agency confirmed that the permit situation was very uncertain it’s not guaranteed that the permit will be processed and we were made worst as we do not meet certain requirements. We were about to give up on Tibet when they stopped us and said they would try their best and they required us to remit US$2500 to TTB first. It’s quite a big sum of money (almost like 70% of the total tour fee paid). They were confident thou. So should we take the risk and put the trust in them? Maybe we were too desperate (really don’t want to waste the air-ticket to Lhasa), we quickly confirmed the revised itinerary (without EBC), confirmed the tour price and amount to pay and off we went to transfer the $ over and leave to fate. At the same time, we started planning our contingency itinerary, thou the conclusion was to just pack a China Lonely Planet, fly to Xi’an and see how. Just 3 days before we were due to fly to Xi’an, the agency informed us that the permit was approved and had mailed out the permit to our hostel at Xi’an using a 3 days mail service. So this was it. The nightmare and roller-coaster ride before the trip. We still packed in the China Lonely Planet in our bag just in case we were refused entry at the airport and we were forced to go elsewhere in China. 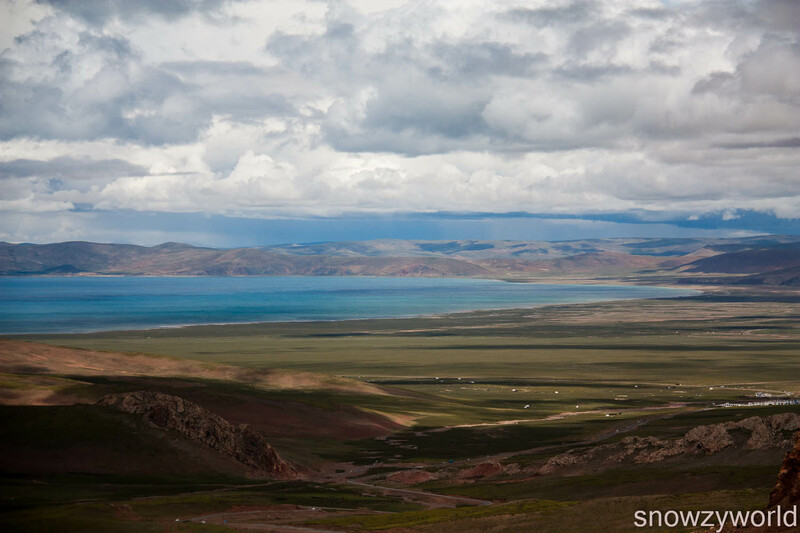 For up-to-date Tibet travel permit situation for us foreigners, you may refer to this website — Land of Snows.